What is the legal definition of a partnership? How do you know if there is a partnership arrangement? What are the usual clause found in a partnership agreement? What is the difference between a partnership and other joint ventures? If it is not a partnership, what could it be? A business partnership is a specific kind of legal relationship formed by the agreement between two or more individuals and/or organisations to carry on a business as co-owners. A partnership is a business with multiple owners, each of whom has invested in the business. A partnership is different from a company as it is not a separate entity from the owners. As a result, the partnership income tax is paid by the partnership, but the profits and losses are divided among the partners, and paid by the partners, based on their agreement. It is perhaps fair to say, that before anyone thought of doing anything else, the only way in which two or more people could operate a business venture was by way of a partnership. The Oxford English Dictionary records the use of the term partnership as far back as 1700.
with a view of making a profit. it did not seek to distinguish between professional or civil partnerships and business or commercial partnerships. Although the formation of a partnership may be unintentional, most persons who operate inside of partnerships and will draw up a written partnership agreement. However, it is worth setting up a partnership agreement if you are forming a partnership, as it will give you and your partners more control over what you can do in the partnership. where, without agreeing a partnership, they carry on business in common, giving rise to the implication that a partnership exists. The question whether there is a partnership depends on the true relationship and not on any label that the parties attach to it, it is a matter of mixed fact and law. Contracting parties might be partners although they agree in writing that they are not partners or not until a deed is executed or that they are to be mere joint venturers. Whether the partners claim that they are in a partnership or were partners from a certain date retrospectively or (more often) deny it, is in theory irrelevant: “No ‘Phrasing of it’ by dexterous draftsmen […] will avail to avert the legal consequences of the contract” (Adam v Newbigging (1888) 13 App Cas 308 at 315). Accordingly, the fact that partners claim that they are not in a partnership is irrelevant. Although, in practice the inclusion of a disclaimer of intention to create partnership relations will cast doubt upon whether the parties intend to carry on business in common with a view to a profit and to create a mutual agency. Partnerships do not require a partnerships agreement, there are many partnerships, including in the professions which are not governed by a written agreement, whether because the partners thought it unnecessary or never got around to it. In some cases, they might have allowed their existing partnership agreement to lapse, following the admission of a new partner. Ultimately, a well-drafted partnership agreement represents the most elementary form of protection for the partners. In the absence of a partnership agreement, the partnership relationship would be regulated in accordance with the Partnership Act 1890, which has its negatives, under the 1890 Act, it is impossible to remove current members from the partnership or add members without consent from all members. Accordingly, if a partner wanted to leave the partnership and the remaining partners wanted to replace them with someone else, they would need to dissolve the current partnership and create a new one. Furthermore, without a partnership agreement, any profits earned by the group are shared equally by all partners, regardless of how much time or investment each partner puts into the business. What are the usual clauses found in a partnership agreement? The purpose of this insight is not to go through every possible term to be included in a partnership agreement and it should not be assumed that each of the clauses referenced below will be required in every case and/or their inclusion guarantees the suitability of the agreement. The draftsman should also bear in mind that the majority of the provisions in the Partnership Act 1890 will apply unless they are expressly or impliedly excluded by the partnership agreement. The agreement should identify the parties and state whether they will be equity partners, salaried/ fixed share partners or merely employees who are held out to be partners. The latter should be discouraged for the reason given below. The partnership agreement should clearly define the nature of the business being carried on. Each partner will stand liable for the acts of his co-partners, and thus, for the debts and obligations of the firm from this date. As a matter of law, a deed takes effect at the moment of its execution, the date on the face of the agreement is irrelevant: see Morell v Studd & Millington  2 Ch. 648. This usually takes the form of a fixed term of years or the “joint lives” of the partners. The agreement should as far as possible identify the assets: (i) which are to belong to the partnership; (ii) those which are to be retained in the ownership of a partner but used by the partnership; and (iii) if firm money is spent on an asset belonging to a partner whether the firm will be entitled to a lien for its return. This is an important consideration when a new partner is admitted. It should also be observed that if an incoming partner agrees to undertake liability for existing partnership debts, he should require the remaining partners to warrant that they have made full disclosure of the nature and amount of those debts. The amount of capital that each partner is required to contribute and the manner in which such capital is to be owned. It is usual for the agreement to name the bank at which the partnership maintains its accounts. The agreement should always record the manner in which profits and losses are to be shared, without express provision all of profits and losses will be shared equally. This clause is frequently very wide in scope however it will cover the amount of time to be dedicated to partnership affairs, holidays/ leave and any special or exclusive authorities (i.e. managing or senior partners). It is fundamental that the agreement provides for how decisions on both large and small issues are to be taken. A unanimous decision may be required for certain very important decisions. There is no inherent right to retire from a partnership otherwise than by agreement, it is therefore usually desirable to provide for voluntary retirement or compulsory retirement on grounds of age. In the absence of an express agreement, as a matter of law no partner can be expelled from, or otherwise forced to leave a partnership. Some of the common grounds provided are an individual partner’s: (i) insolvency; (ii) misconduct; (iii) and material breach of the agreement. The partnership agreement should make provision for the continuing partner(s) to acquire the outgoing partner(s) share(s). 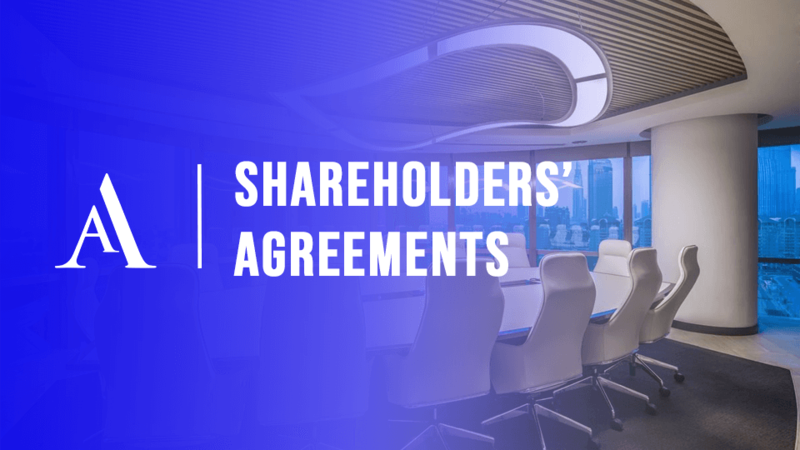 If the agreement is silent on this point, the outgoing partner will be in a position to argue that the partnership should be wound-up and have its assets sold. In the event of a general dissolution the agreement should make provision for the winding-up of the partnership affairs. Partnership agreements will often make provision for the winding-up of general partnership affairs in the event of a general dissolution. Two or more persons may find themselves in a consortium or other relationship which imposes obligations although it is not strictly a partnership. Persons may agree to be partners in the future. Although abortive negotiations for a partnership will not render the partners liable as partners. By contrast if a draft partnership agreement and/or mere note of intended instructions for a partnership agreement is acted upon, the partners will become bound by it. Their association may not include every one of the requirements of a partnership, for instance because the business association is so slight that it cannot be said that the parties are carrying on business within the meaning of section 1 of the Partnership Act 1890. Their venture may not be intended to yield profit ‘in common’ or the profit- sharing may be of gross rather than net receipts. The term ‘joint venture’ usually means a partnership for a single venture, or the arrangement whereby several parties incorporate a company to carry out a particular project. The first question will always be whether or not a partnership has come into existence and the mere fact that the parties describe their association as a joint venture does not prevent it from being a partnership. If there is no partnership, a question may arise whether any rights have arisen under the doctrine of a joint venture. The rights may arise if a person is negotiating for an intended partnership. An agent paid out of a percentage of the takings is not a partner. Moreover, where there is one person acting for another, his obligations to the principal is that of an agent. The principal will also be vicariously liable for the acts of his agent however this is not always the case in partnerships. A charitable club or social society will not be a partnership: Wise v Perpetual Trustee Co  AC 139. This will extend to a members’ club, where its members finance it by subscription and a proprietary club that is owned by a proprietor rather than the members. The distinction is rarely in dispute, as a company is a fictional person separate from its members whereas a partnership is not. Although the relation between company directors and shareholders is not a partnership, a company can itself be a partner. Where an individual partner controls a company, which acts for him in relation to the business, that company becomes accountable as much as he. The relationship between an employer and an employee is inconsistent with that of a partnership. An employee cannot be both a partner and an employee: see MacKinlay v Arthur Young McClelland Moores & Co (1990) 2 AC 239. Although the phrase ‘Salaried Partner’ is frequently used to identify someone who is less than full-profit sharing, in practice, it should be avoided because it creates confusion. Whether he is a partner will come down to the construction of the agreement with the firm. Often a business is conducted under a franchise agreement. No partnership is likely between the owner of a business and its operator because the standard franchise agreement will give the franchisor a share in the gross returns of the franchisee business and not the net profits. Private companies which are manged in a way that is very similar to partnerships, with a personal relationship between the members who all contribute to the management are called quasi-partnerships. Quasi-partnership is not a legally defined term and although it contains the term ‘partnership’ it has nothing to do with partnership law. If it is the intention of the parties, the court will in certain instances recognise that assets are held according to Sharia shares and not as partnership assets: see Choudhury v Choudhury  EWHC 1837. Although it should be observed that the English courts will not interpret Sharia law. This is considered in the following section however much like limited companies, the limited liability partnership is entirely a creature of statute. The limited liability partnership is a body corporate and like a limited company it has a legal personality separate from that of its members. Indeed, the very term ‘members’, which is used throughout the Limited Liability Partnership Act 2000 is introduced to distinguish the position of the individuals involved in a limited liability partnership from that of the ‘partners’ in a partnership, it also further reinforces the separate nature of an LLP. Much unlike a partnership which can be implied or come into existence by implication, section 1(2) of the Limited Liability Partnership Act 2000 states that a limited liability partnership is formed by being incorporated. Accordingly, it is the fact of incorporation which gives birth to the limited liability partnership, not the decision to form a limited liability partnership, or even documentation, in the shape of a limited liability partnership agreement. The intricacies of the limited liability partnership structure and its functionality are beyond the scope of this insight. If you want to discuss any of the issues raised herein please do not hesitate to contact a member of our team to discuss any matters relating to your business.